Metal "Spill Stop" pourers are manufactured with quality materials for years of reliable use behind the bar. 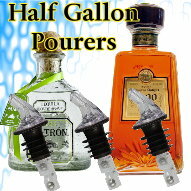 The 220-50 pourer is one of the leading juice and oil pourers used. This bottle pourer has a wide shaft for fast, easy free flow pouring. 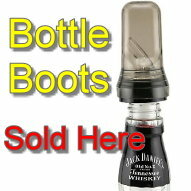 The rubber molded cork holds tight in the bottle for a leak free seal and steady flow.